There aren’t many days go past when you don’t think of family members who have died. Recently I got in touch with a new family member – quite a distant half third cousin – and I so wanted to tell my sister about this contact and show photos she sent. But of course, my sister died last year so it can’t be done. Oddly, I don’t feel the same need to share this with my brother. It is 35 years since he died and genealogy wasn’t on the agenda back then. But things happen most days and the thought comes that I might tell one of them about it. 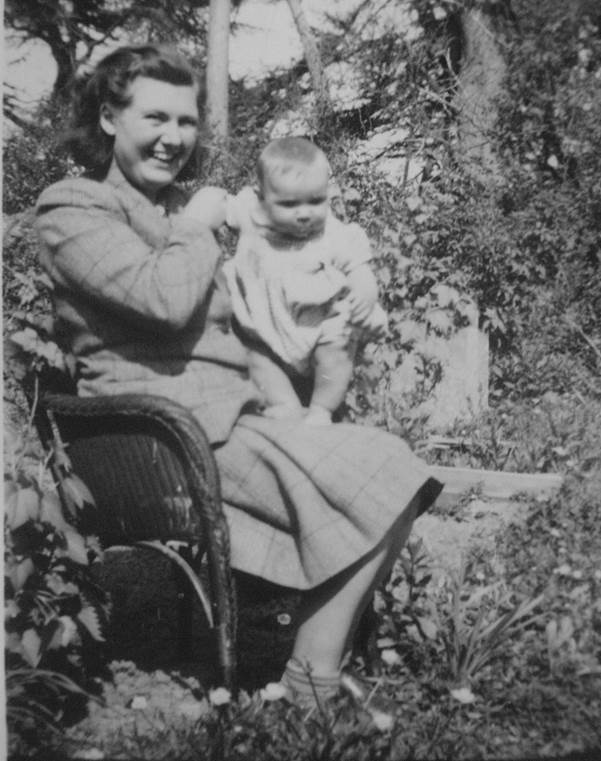 So let’s honour those departed siblings today with a picture of them from before my own birth. 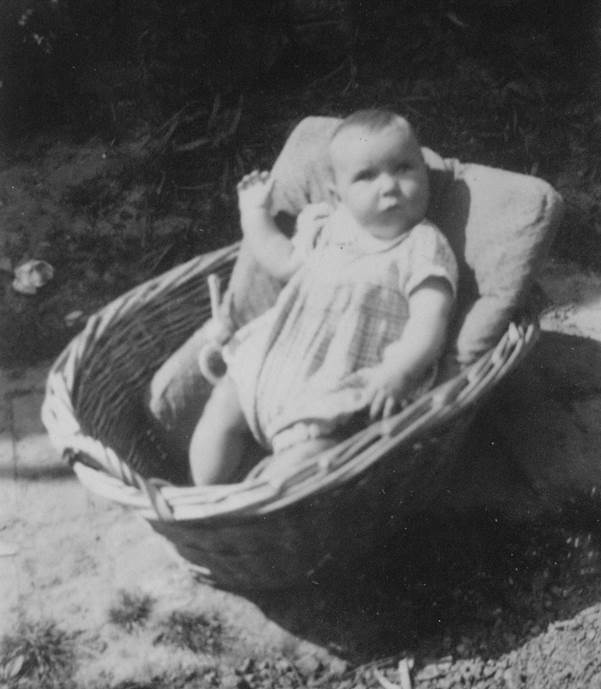 This photo was taken in 1947. It was taken, of course, by my Dad. 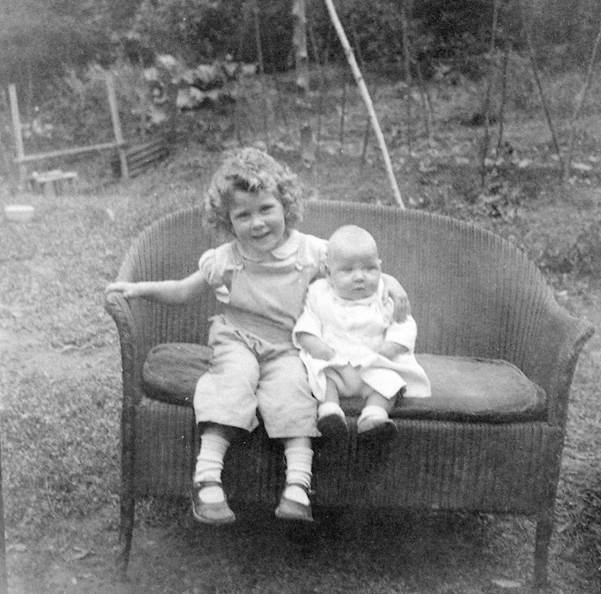 The Lloyd loom settee had clearly been moved into the garden at the family home in Wadhurst, Sussex, which was where I was born. Paula, my sister, looks happy to have a brother. He had been born in what is recalled as an awful winter with all sorts of problems, but he looks to have thrived on it and is clearly showing an interest in the world. I remember that settee with affection, too. My dad didn’t quite approve of settees. He claimed that people didn’t use them by choice and that if offered a chance to sit anywhere, they always took a single seater chair. It got replaced by two arm chairs. But of course nothing can replace the brother and sister. Please don’t get any idea that I live a life of sadness though. I don’t. My memory is good and I have lots of good memories. I’ve known my wife for the vast bulk of my life so I have someone I can share most things with. I have no thoughts of having been dealt a lousy hand in life. I think I’ve had a great one. Yes, I like bridges. But this isn’t the real thing. It’s a model. The model was notionally made by my brother, but I rather imagine my dad had a lot to do with it. 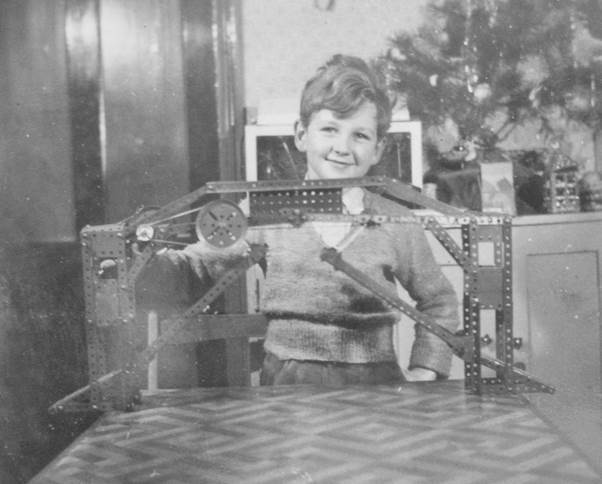 It was made of Meccano and the year was 1954. That’s my brother with the model and he certainly looks proud of it so he must have felt well involved in the making. The scene was our dining room and I feel I should just say ‘room’ for the front room was rarely used. The dining room had the kitchen range in it so it was warm. Lighting the front room fire was for special occasions only. It looks to me as though the cupboard behind my brother has greenery on it. It must have been at Christmas time. The model was on our table – a tiny affair on which the bridge hardly fitted. My dad had covered the table with lino at that time. Later it got ‘new’ Formica on it and still later it reverted to a wood finish. It still exists in that form. The bridge was a working model rather than an aesthetically pleasing one. One might say that summed up Dad who did appreciate things for aesthetic reasons, but that tended to be a secondary consideration. The phrase, ‘like father, like son’ comes to mind there. As a child I never got on with Meccano. Fine motor control was never my forte and I found those nuts and bolts far too fiddling and small. As an adult it presented no problems to me but back in those early 1950s, my efforts with the stuff were limited to say the least. But the photo brings back happy memories of a brother who died far too young and a father, also deceased. Here’s childhood in 1952. It isn’t me though. It’s my brother. From the nerd point of view maybe the elderly trike is of interest. It was a venerable machine without a doubt and it passed to me when my brother moved on to two wheels. He was 20 months older than me. Sadly, he died young – as a young adult, already married and with two children. 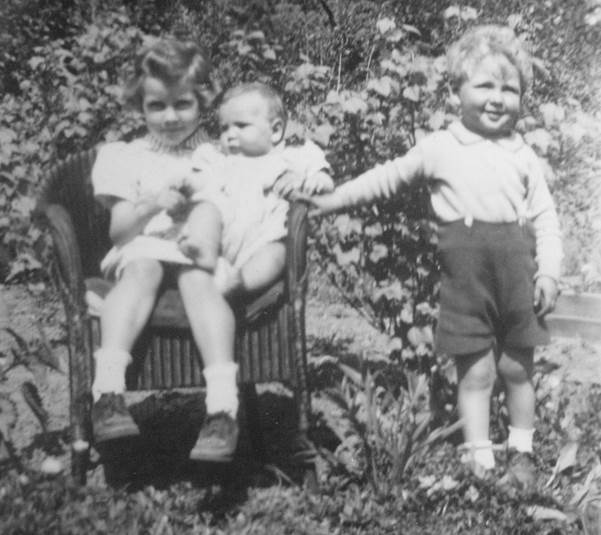 My brother probably never knew – I certainly didn’t – how poor we were as a family. 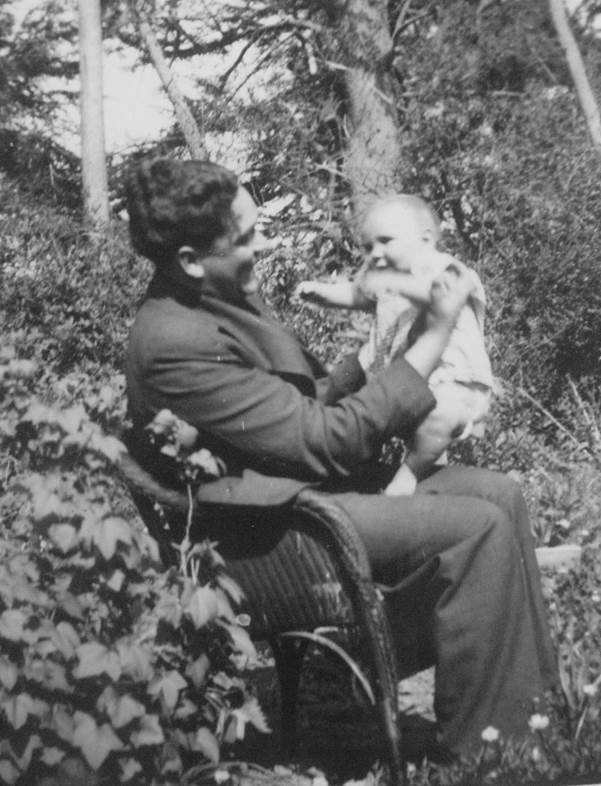 After the second war ended my dad decided to go to university so we were living on a student grant – Dad, mum and we three children. I learned after of the usual student panic. The grant had been spent by July and it would be the start of October before any more money arrived. But I had no idea’ I only knew that Dad did some private tuition – presumably enough to keep the wolf from the door. I had the happiest of childhoods. The scene, by the way, is Ifield Green. There was clearly money for photography with processing all done at home.